As one looks at the old photos of Outtrim at its height, it is amazing to come to terms with the reality of life, that all the town has gone! 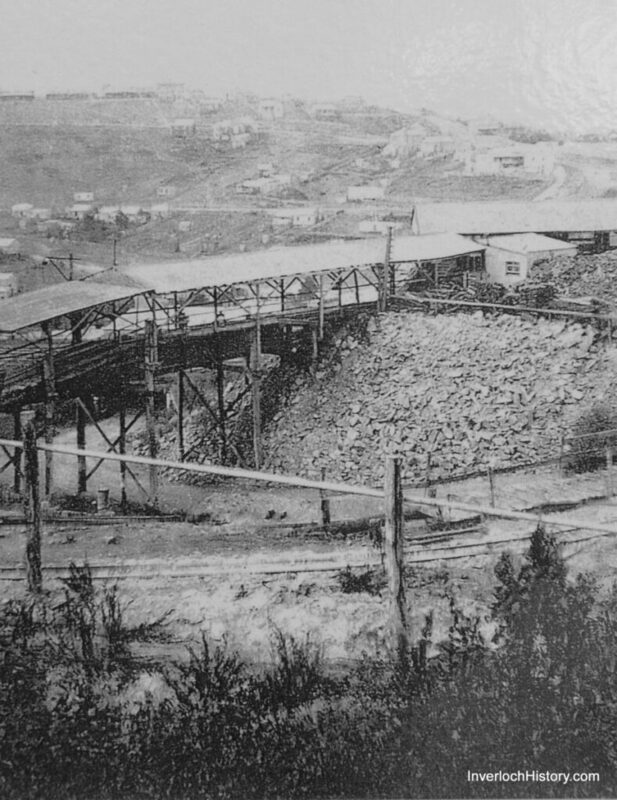 Everything was built in timber – the mines gobbled up huge amounts of timber for props 85 lining. The hills were stripped of most wood for the grazing of animals, Whilst the surplus was burnt. 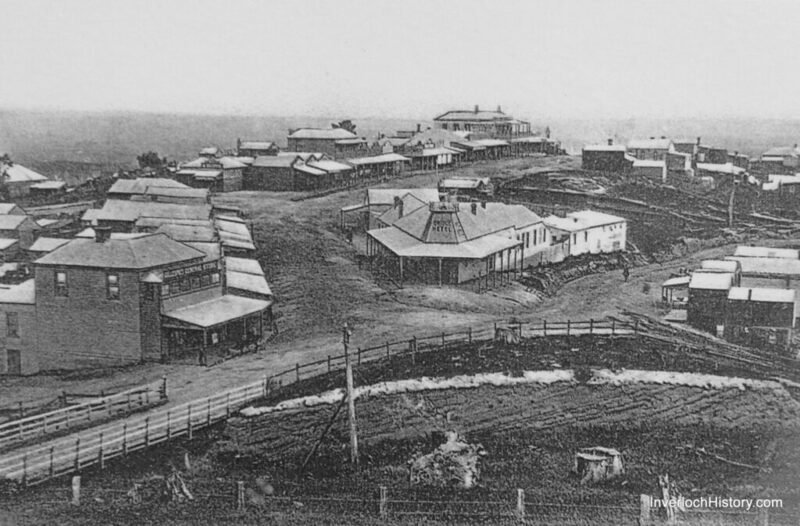 With no railway, quality timber could not arrive for use in growing Melbourne & its suburbs. 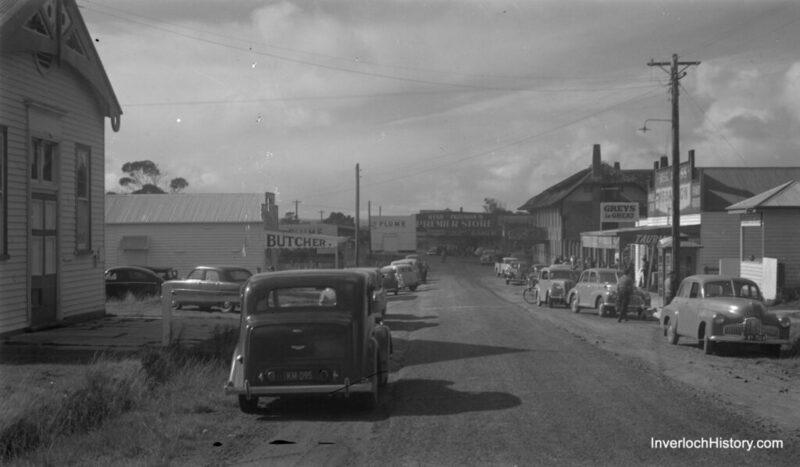 Outtrim itself, like South Gippsland in general, greatly developed because of ‘The Great Southern Railway’ – sadly now gone! 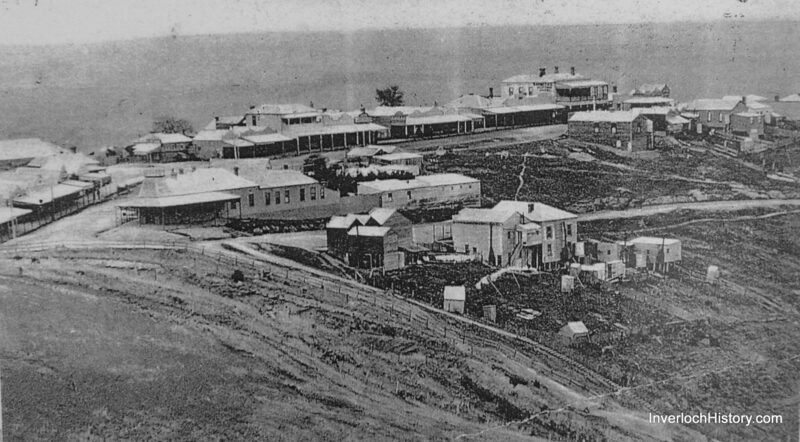 The township in 1902, with its pubs, shops & houses. All the streets were of dirt. There was no fire brigade. 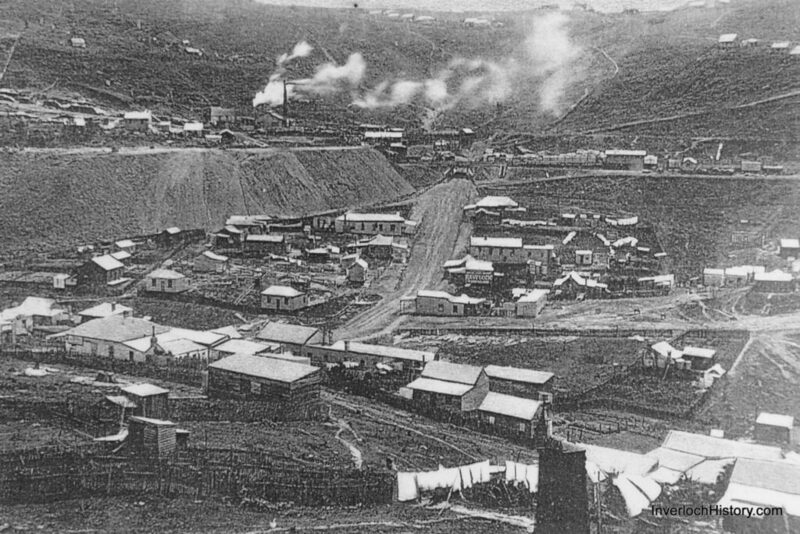 Mining and railway area. Some houses are in front. Notice the few houses clinging to the hill in the background. A different view of the town. There seems to be no gardens, trees, or in some cases – fences.